The premise of this exhibition – how do you know what the time it is? In the eighteenth century this was not necessarily a simple or straightforward matter. Keeping Time explores what life was like in the golden age of science when timekeeping technology was making new and intense advances, and society was trying to keeping pace with these changes. 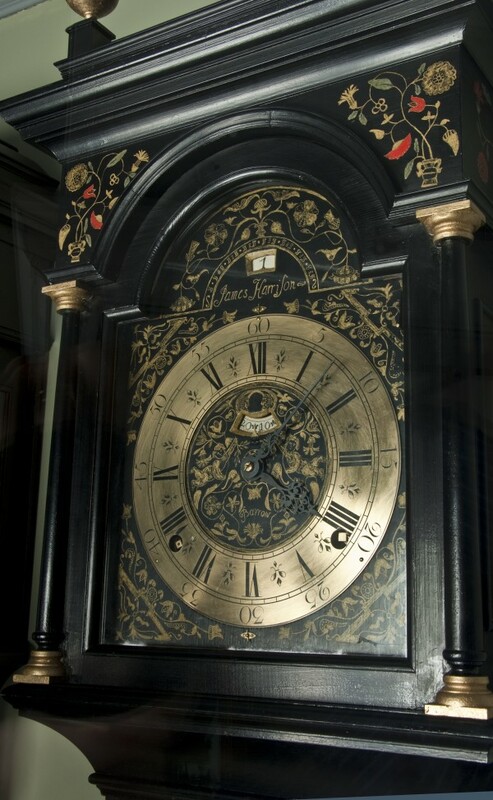 Although mechanical clocks have been with us since the late 13th and early 14th centuries, used in monasteries to ensure regular attendance at prayers, it was not until the eighteenth century that their reliability and greater precision started to see the sundial thrown off of its pedestal. In this age of deadlines and addiction to time with time-keeping instruments surrounding us in every conceivable format, can we ever imagine what life was like without a clock? Keeping Time explores the dramatic development of timekeeping in the late seventeenth and eighteenth centuries and the far-reaching revolutionary consequences for Georgian England of the introduction and increasingly widespread adoption of the clock. Celebrating and illuminating the particular innovative prowess of clockmakers of Yorkshire and York, this exhibition brings together clocks of all shapes, sizes and types from the regional clockmaking industry to illuminate the technical skill and brilliance of Yorkshire’s greatest horological craftsmen. A host of this county’s finest clocks both large and small will tell the story of timekeeping from the humblest, most primitive of timepieces through to beautiful examples showcasing such pieces to be works of art in their own right – not just functional objects. With works on loan from a range of museums including the British Museum, Leeds Museums & Galleries, York Museums Trust and also a number of private collectors, this assemblage of Yorkshire and particularly York clocks is the finest gathered in one place. 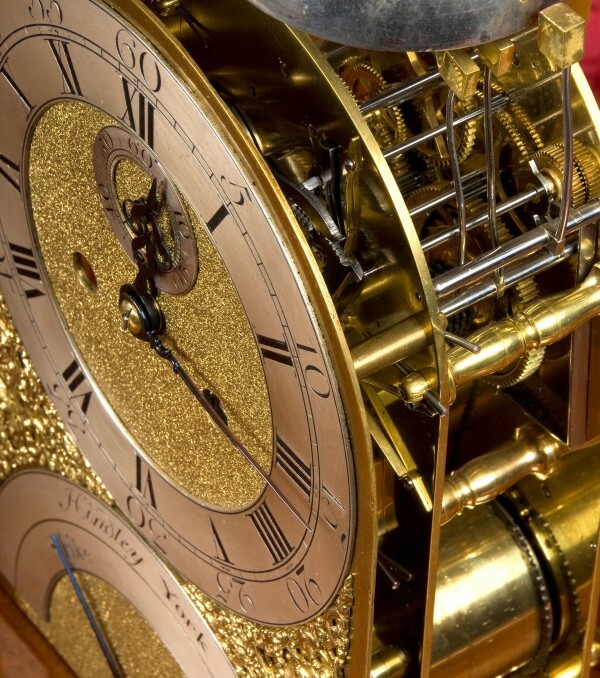 The Harrison Precision Pendulum Clock Number Two, from the genius of John Harrison, is at the centre of Britain’s leaps towards keeping precision time. A revolutionary concept: a movement made almost entirely of wood – lignum vitae, running without any lubrication, it was a technological breakthrough that kept time to within one second every month, an unheard of feat in 1727, and one which could not be bettered by the greatest of London clockmakers. This clock was the foundation for Harrison’s works and later timepieces that ultimately brought him to solve the problem of longitude and the invention of the marine chronometer, a portable clock that keeps accurate time at sea and revolutionized navigation, allowing longitude to be established at sea. “Most exciting is that we will be seeing side by side the two longcase clocks that Harrison first designed as a pair. His idea was to gauge whether they were keeping perfect time or not – in spite of the variation in temperatures that Harrison threw at them. The first, a perfect replica of Precision Clock Number 1, and the second, the original Number two from Leeds Museum & Galleries will be on public display together for the first time. This reuniting of the two clocks is an exciting moment in clock history and a triumph for Fairfax House”. Whilst Georgian London may have unquestionably held the reputation for being at the epicentre of horological development not just in England but around the world, Keeping Time shows that the pursuit of scientific and horological advancement was being carried out beyond London’s bounds. 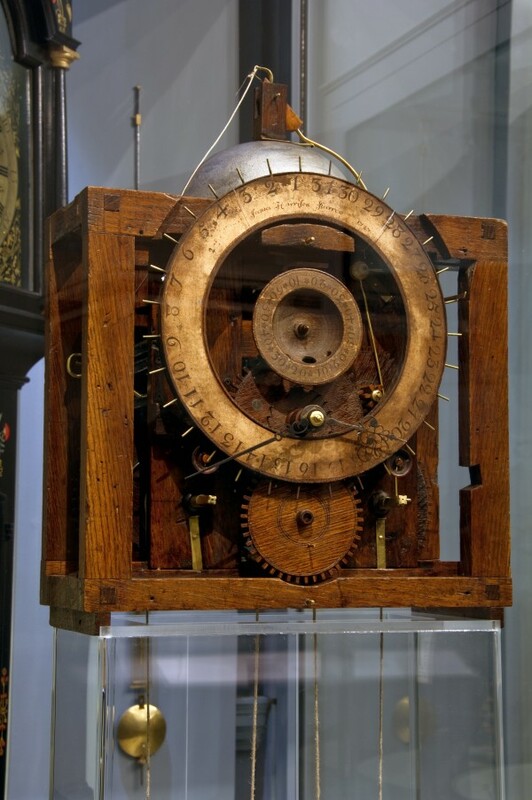 In York, the name of Henry Hindley is synonymous with scientific advancement not only in horology but other fields of scientific instrumentation. Keeping Time will also look at the regional hubs where clockmakers centered their activities and York in particular, a centre for polite society and trade, where the measurement of time held growing importance. Hannah Phillip explains: “Timekeeping had attained a new fashionability with clocks becoming a luxurious necessity in the homes of the county’s wealthy elite whose social conventions dictated more and more the regulation of the day’s hours. For those who may not be interested in the mechanics and complex arrangements for making a clock keep an even and sustained perfect time, the impact the clock technology had on society is something that everyone can identify with”. Keeping Time opens on 5th October. The opportunity to see these exceptional timepieces and Harrison’s Number 2. Precision Clock will last until the end of the year, when the exhibition closes on 31st December. Entry to the exhibition is through purchase of a general admission ticket. Tickets cost £6.00 (£5.00 Concession, children under 16 are Free) and are valid for one year. Fairfax House is open Tues – Sat: 10am to 4.30pm and Sunday 12.30pm to 3.30pm. Guided tours are also available at 11am and 2pm on Mondays. PRESS CONTACTS: Hannah Phillip, Director, hannahphillip@yorkcivictrust.co.uk or telephone 01904 655543.